As of right now, the national drink of Brazil isn’t that well known stateside. 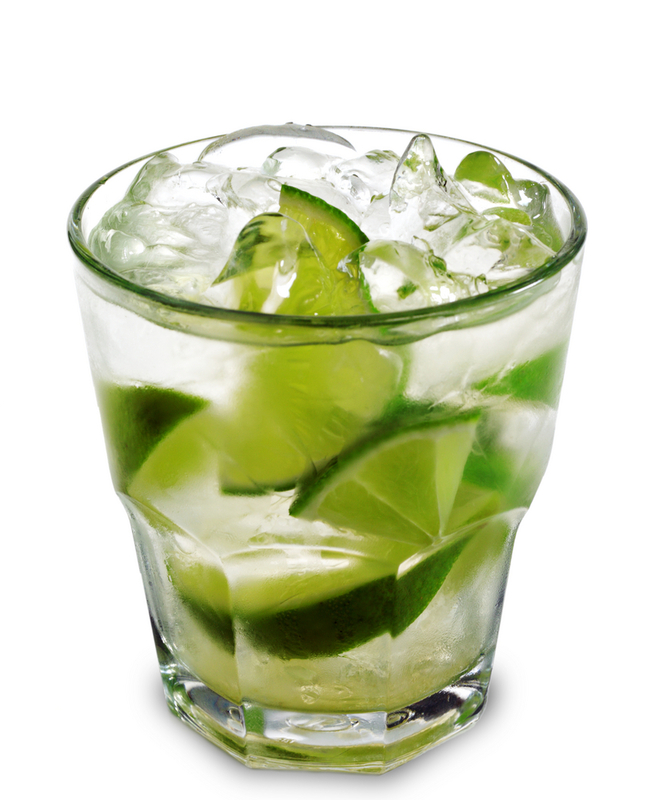 If the PR savvy makers of Leblon Cachaça have their way, however, the cachaça-based caipirinha will soon be doing battle with the mojito (which I promise we’ll be covering here shortly) for the title of most chic Latin American beverage in North America. Because of U.S. labeling regulations, cachaça is frequently confused with rum. While rum is made from molasses, cachaça is made from sugar cane juice which makes them relatives, but anything but identical twins when it comes to flavor. As I understand it, most brands of the drink consumed in Brazil are also first-cousins to lighter fluid, but Leblon — the only brand I’ve tried so far — is of a far finer stripe and sells here for between $20-$30. The reason I know the brand is that it is buying influencing writers like me with bounteous alcoholic swag. Not a bad start, to be honest. I’ve experimenting with the stuff for over a week and what I can tell you is that, like all really interesting booze, it’s a somewhat acquired taste, but I’m enjoying doing the acquiring. It has a complex flavor that is less sweet than rum or whiskey and is closer to dry gin or vodka, but with more than a hint of olives about it and some other odd flavors I can’t quite identify and am still getting used to. It makes an okay martini, but it’s terrific with a few splashes of ginger ale and a lot of ice. I’m sure there are lots of other classic drinks using gin or vodka it could be easily worked into. So far, the Caipirinha, which is somewhere between and old fashioned and a mojito in terms of preparation, is the most intriguing way to go with cachaça that I’ve found, and it’s about as refreshing on a hot August night as any drink I’ve had. And, no, I have no idea how to pronounce the name of the cocktail, either. Cut a good sized lime into wedges. Add sugar and muddle vigorously in a rocks/old fashioned glass. The backside of a spoon won’t do here; you’ll want a proper muddler or a blunt instrument of some sort because you’ve really got to smash the lime wedges and sugar but good to form a sort of juicy paste. Add lots of crushed ice and pour the cachaça over it. Stir with a bar spoon or swizzle stick for maybe 30 seconds or longer to allow a lot of the ice to melt. Sip away. The recipe the Leblon people provided me called for the drink to be shaken with vigor for about 10-30 seconds, and you can do so either in a cocktail shaker or by shaking the concoction in the glass itself using a professional-type shaker. My personal opinion is that’s only necessary if you don’t have crushed ice, because you’ll need a way to extract some water out of that ice fairly quickly. If you’ve got crushed ice handy, my way is easier, tidier and, I think, tastier. Not surprisingly, there are endless variations on the caipirinha theme, many of them involving smashed fruits of various sorts. I haven’t tried any of them yet, but a lot of them sound delicious and you can definitely check out more recipes at the Leblon website. Personally, I’m just thinking about raiding my fridge for whatever fruits are there and seeing what happens.